Whatever your business needs - taxi, pickup, panel van or minibus - Toyota has the perfect vehicles to keep your business moving. With its good looks, 7 seats, spacious interior, solid performance and fuel economy the Avanza has everything you need to run your business smoothly. 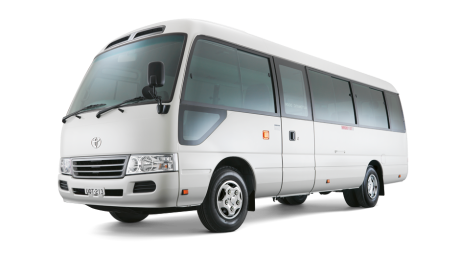 Whatever the task, HiAce vans and commuter buses have been the trusted choice of Bermudians who depend upon getting the job done. The Innova is the MPV that’s the perfect fit for taxi owners. Designed to comfortably seat 7 people with plenty of enough space for their luggage. The Coaster has the comfort and versatility to make any journey fun for driver and passengers alike. Available in 15-seat low or high roof versions. The HiLux is 'the unbreakable workhorse'. It's also surprisingly comfortable and ergonomically sound, with everything laid out exactly where you need it.